Next What causes Dry Eye Syndrome? Treatment of dry eye syndrome all depends on what is causing the dry eye syndrome. The goal to treatment is to stabilize the tear film. 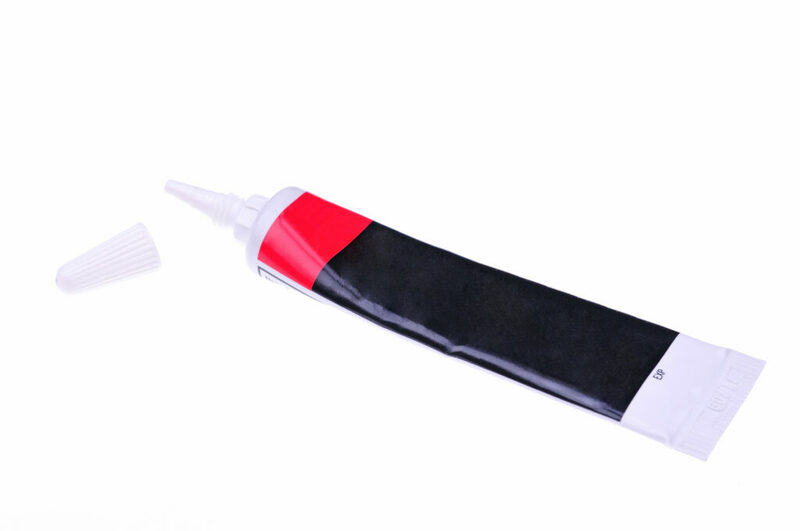 Because a deficiency of any layer of the tear film can cause it to be unstable, we have to figure out which layer is causing the problem in order to direct treatment. Obviously the best way to figure out which layer of the tear film is deficient is to visit your eye doctor for a complete exam. Only by direct visualization and certain testing can we know which layer(s) is problematic and what therapy is most appropriate. Early mild dry eye is easily treated with over the counter remedies while chronic severe dry eye requires medical and sometimes surgical intervention. We will discuss some strategies that can easily be started to help decrease the severity of symptoms. Early dry eye symptoms are because of a lack and an instability of the tear film. These symptoms usually worsen towards the later part of the day and after concentrating for long periods of time. As we use our eyes more the surface is exposed to the elements which causes the tears we have to evaporate faster than they can be replenished. As this progresses, you feel stinging and burning, tearing and fluctuations in vision. Artificial tears are a great solution for these early mild symptoms. Artificial tears can be purchased over the counter at most pharmacies without a prescription. All artificial tears are designed to replenish the deficient portions of the tear film. Some are made to help boost the aqueous layer while others help to replenish the oily layer. If you go to the pharmacy you will notice there are TONS of different brands and types of artificial tears. There is such a variety because dry eye syndrome is a complex process and some tears work better than others for certain people. You literally have to experiment with the different tears until you find one that works best for you. The best time to use artificial tears is as soon as you begin to feel your eyes are getting dry. I recommend using them when a patient first feels any burning, stinging or the vision begins to blur when reading or watching TV. Some people use a drop when they get up in the morning and a drop before they go to bed. This regimen is fine but I always recommend using them as soon as the symptoms start. 1.) Preserved Tears. Preserved tears are always the bottled tears. The companies put preservatives in them so they don’t lose efficacy over time. This is fine for preserving the tears but the preservative itself can be toxic to the surface of the eye. I generally recommend using preserved tears no more than 4 times a day. More than that and the eye will begin to get irritated which will prompt patients to use them even more. These are “normal” eye drops, the ones everyone just grabs off the shelf and uses them as needed which is fine. Some are thicker than others, some are clear while others are a little “milky”. The formulation of the tear all depends on what you are trying to accomplish with their use. 2.) Non-Preserved Tears. Non-Preserved tears are just that, non-preserved. They generally come in vials that once opened are good for 72 hours until they begin to lose potency. These are my favorite because you can use them every hour if need be and they will never hurt you. 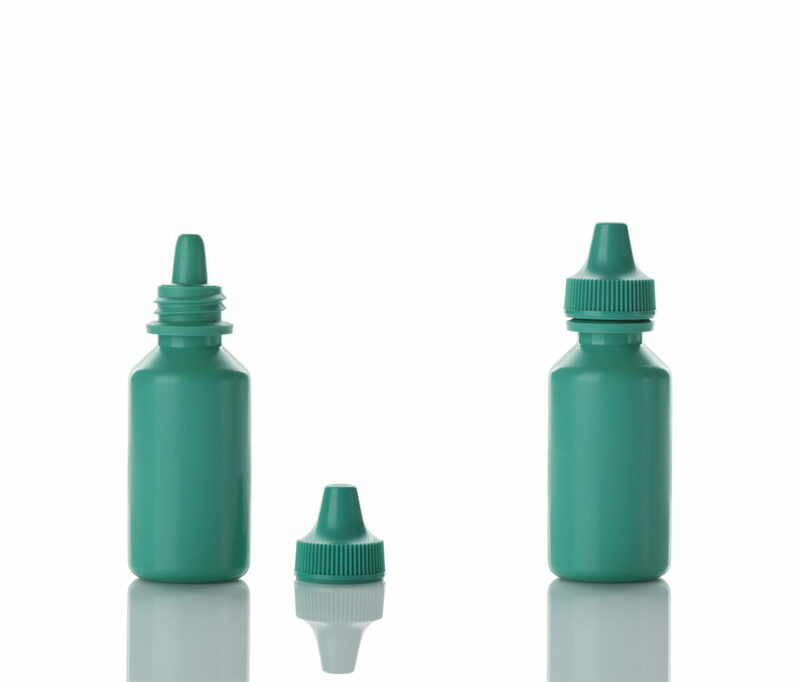 These are the ones we use after surgery to help keep the eye lubricated and after any type of eye injury. Good lubrication is VITAL for eye healing. 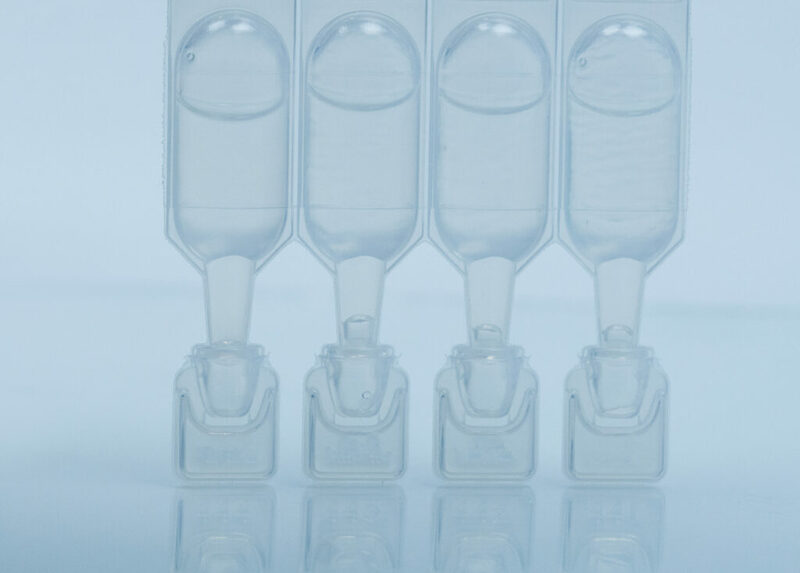 These vials are meant for single use but many patients can reuse them as long as they can recap the vial. These also come in a range of thickness from thin to very thick depending on the amount of lubrication you need. 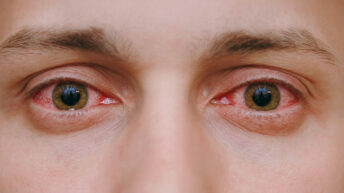 Some types of dry eye occur mainly at night while sleeping. This is common for patients who use a c-pap or keep the fans blowing all night long. Sometimes patients can have trouble closing their eyes completely while sleeping maybe because of a neurologic problem or scarring from previous trauma. No matter what the cause, when these patients wake up in the morning it feels like the sand man dumped the entire bag in both eyes. They have discomfort, blurred vision and just feel incredibly “dry” in the mornings. Because the eye is drying out all night long, it can take hours for it to feel normal again the next day. Even if you use tears in the morning and before you go to bed, it isn’t quite enough to keep the eyes lubricated. These are perfect situations for night time ointments. Night time ointments “stick” to the surface of the eye and provide a layer of protection that prevent the eye from getting too dry while you sleep. When you wake up in the morning, it can be a little sticky but a little warm compress and the residual ointment is gone and your eyes feel good. It’s amazing how much better these patients feel using ointment. Sometimes dry eye symptoms are caused because the eyelids become inflamed secondary to blepharitis. 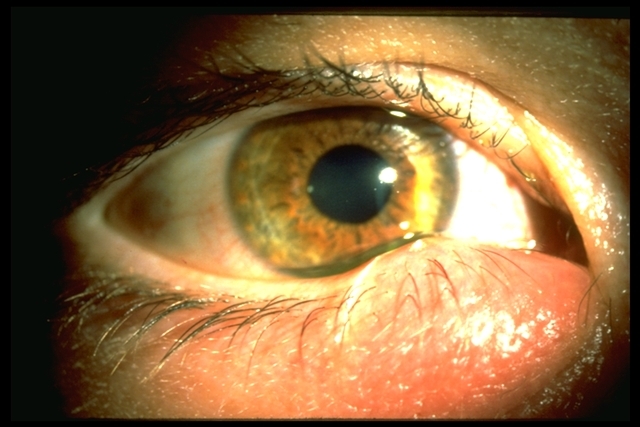 Blepharitis is when the margins of the eyelids are inflamed. The glands that produce the oily layer (meibomian glands) become inflamed and the resulting secretions become almost too thick to come out. 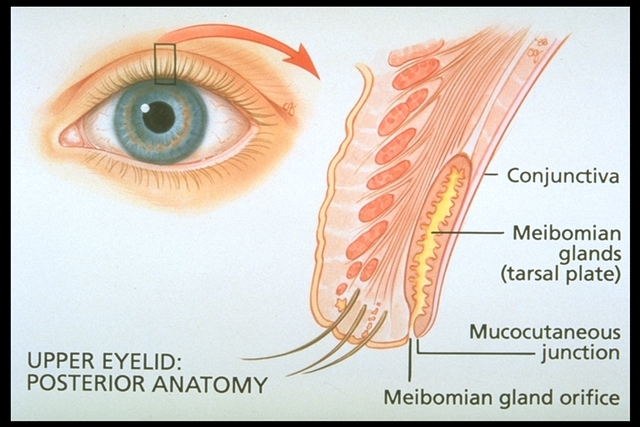 These gland openings are located at the margin of the eyelids so when they begin to thicken, the eyelids get irritated. This is the same thing that causes styes. When the secretion is so thick that it cant come out of the pore, it creates a white dome surrounded by redness that you see in the mirror as a stye. When the oily secretions thicken the obvious treatment is try the thin them out. This is accomplished easily by performing warm compresses. Warm compresses are just that, you apply heat directly to your eyelids for a period of time. The heat is transferred to the gland and loosens the oily secretions. This helps your eyelids to feel better and it also helps with dry eye symptoms. One way to perform warm compresses is to simply heat a wash cloth or rag with hot water and lay it over your face. This works ok but as you can imagine, it cools down too fast to really be effective. Research has shown heat of 104 degrees for 5 minutes is the best temperature and time to truly treat the underlying oily gland dysfunction. The best way to accomplish this constant temperature for that amount of time is with a potato. 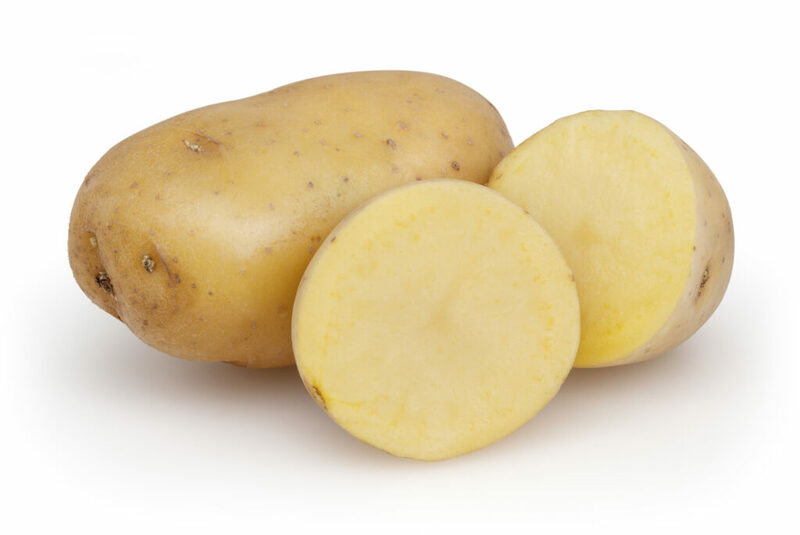 Sounds crazy but the starch in the potato will retain heat for 5-6 minutes which is plenty of time for it to be therapeutic. Cut a potato in half (does not matter what type) and put it in the microwave. Heat it until it is nice and toasty. Make sure it’s not scorching hot, it should be hot enough to hold for a few seconds without it burning your skin. Wrap the potato in a warm moist towel and then place it over your closed eyelid. Once the potato has cooled down the you’re done. 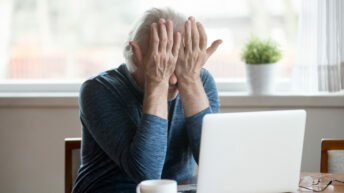 Try not to rub your eyes immediately after the compress because your cornea will be a little soft for a few minutes and it could cause your vision to blur for some time. Most people will do warm compresses once a day or more if symptoms are bad enough or if your eye doctor recommends. Supplements are all the rage right now and most for good reason. A number of peer reviewed studies have shown great medical benefits from numerous different supplements. Omega 3 Fatty Acids have been shown to improve dry eye symptoms. 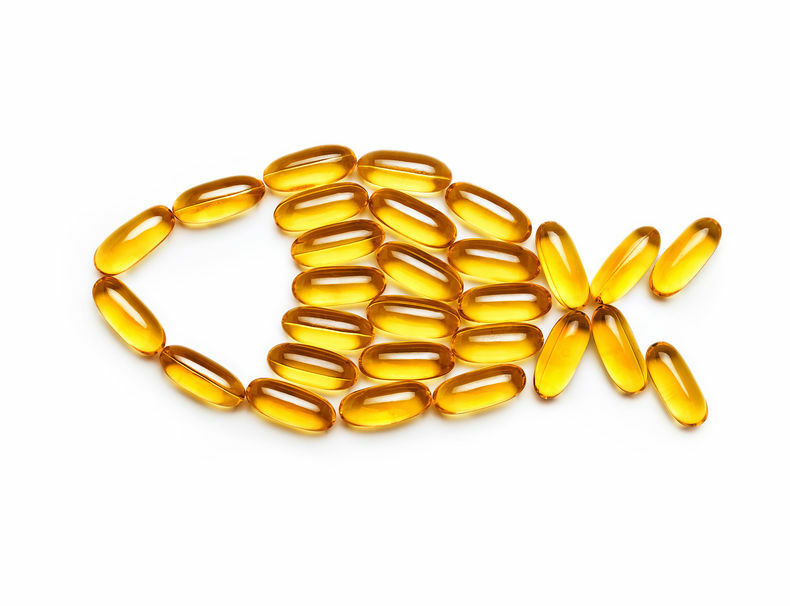 Fish oil, krill oil and flax seed oil are all rich in omega 3 FAs. Omega 3s have long been known to be anti-inflammatory and help with arthritis, cardiovascular disease and a number of other benefits. Omega 3 fatty acids contain both docosahexaenoic acid (DHA) and eicosapentaenoic acid (EPA), each have their own benefits but the DHA is what helps with dry eye syndrome. 600mg taken twice a day is recommended. I also like to add CoQ10 100mg once a day because it seems to improve the anti-inflammatory effect. 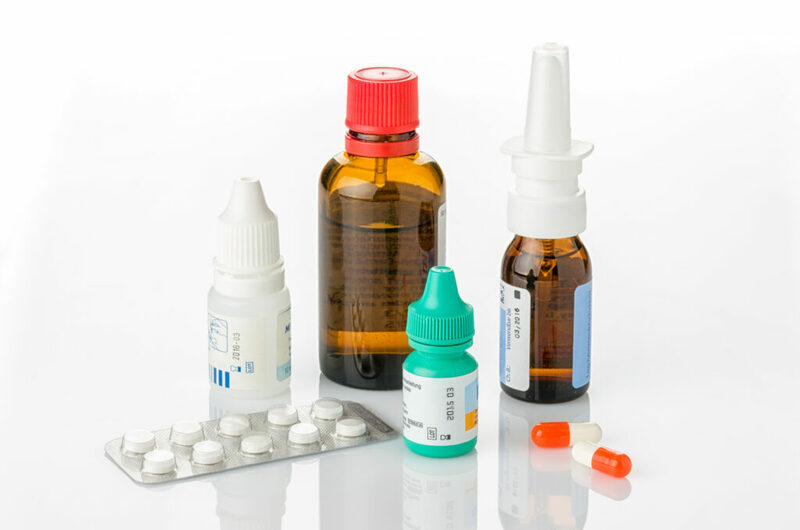 When dry eye syndrome gets bad enough, the only effective way to treat it is long term on either drops or oral medications or both. Steroid drops are used in the short term to help reduce acute inflammation and ease the symptoms. 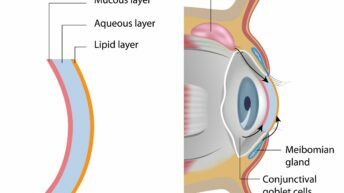 Other drops such as Restasis and Xiidra can be used long term to return the eye surface back to normal and quiet the inflammation by blocking cytokines and reducing T-cell proliferation. If the eyelids are affected by skin disorders such as rosacea or dermatitis, long term antibiotics such as Doxycycline help tremendously to improve symptoms. Severe cases of dry eye syndrome may require special compounded medications to treat the underlying inflammation. Obviously these medications will be directed by your eye doctor. Other therapies such as punctual plugs can be performed in the office. These plugs are placed in the lower eyelid drain and stay for a few months. It is a completely painless procedure and it simply prevents the tears from draining into your bottom lid. Because the tears don’t drain, they stay on the surface of your eye longer and provide almost instant relief of symptoms. 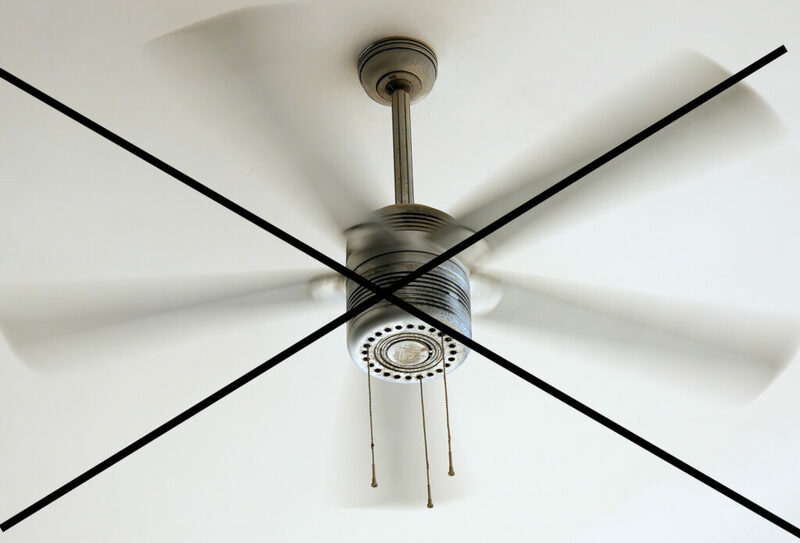 Certain environmental irritants can worsen dry eye symptoms such as fans, smoke and dry environments. Avoid sleeping with the fan on. If you’re someone who just has to have a fan on when sleeping then I suggest a mask that is designed to trap in moisture. Point the air vents away from your face while driving. Air blowing directly onto your face while you drive can be murder for dry eye sufferers. 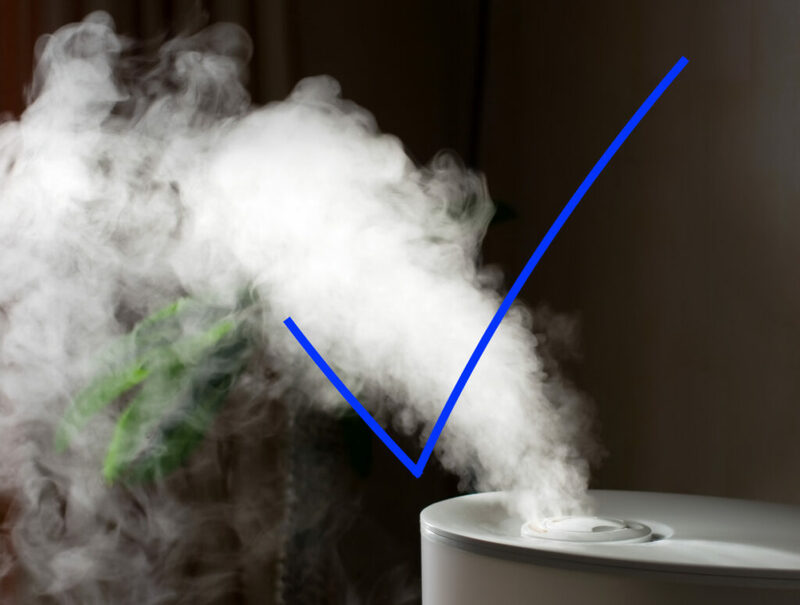 If you live in a dry environment such as the desert or during the winter season then get a small humidifier for your bedroom and any other room you spend a lot of time in. It’s actually amazing how much better this can make your eyes feel. Above all be aware of any situation that make your symptoms worse and adjust as you need to. There is no one solution for every type of dry eye sufferer so you must figure out the “recipe” that works best for you.